Looks like you're from the United States. Right now, you are on our site for Poland. 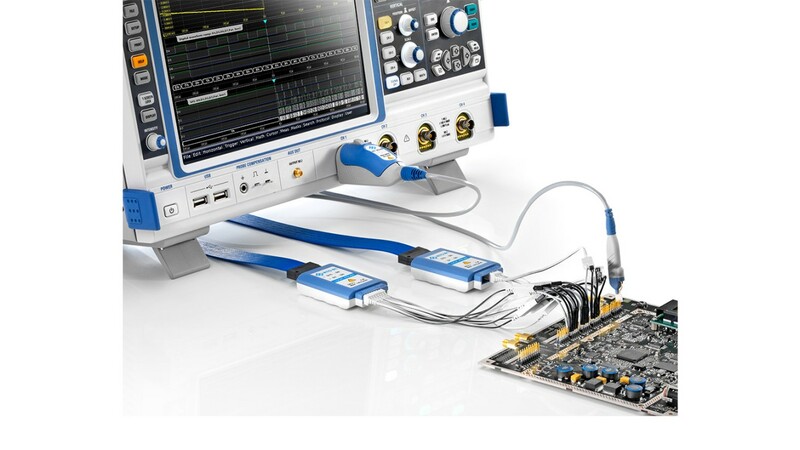 The R&S®B1 MSO options turns Rohde & Schwarz oscilloscopes into fast, precise and easy-to-use mixed signal oscilloscopes (MSO). 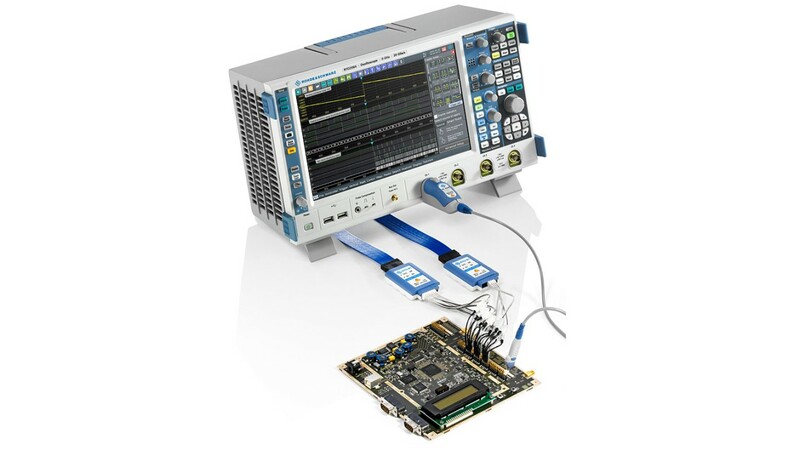 Mixed signal oscilloscopes are hybrid test instruments that combine the measurement capabilities of digital oscilloscopes with the analysis capabilities of logic analyzers. With a sampling rate of 5 Gsample/s, the R&S®B1 option for the R&S®RTO, R&S®RTE and R&S®RTM oscilloscopes provides a maximum time resolution of 200 ps for the digital channels. This sampling rate is available across the entire memory depth. As a result, the MSO option is even capable of detecting critical events such as narrow, widely separated glitches. 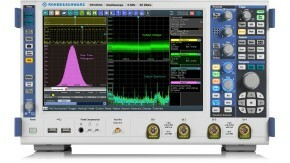 The digital channels of the R&S®RTO oscilloscope operate with 200 ps resolution and can detect short glitches. The digital channels of the R&amp;S®RTO oscilloscope operate with 200 ps resolution and can detect short glitches. The digital channel resolution of 200 ps makes these channels a precise trigger source. The R&S®B1 offers numerous trigger types for debugging and analysis, such as edge, width, pattern and serial pattern. These triggers can be combined with holdoff conditions. For the trigger source, the user can select individual digital channels, bus signals or any logical combination of digital channels by applying logic operations such as AND, OR and XOR. Select from a comprehensive list of trigger types for the digital channels. 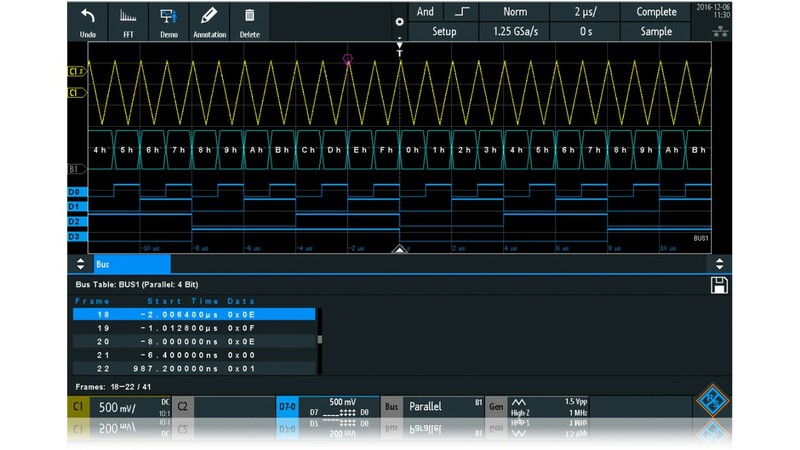 Hardware-based signal processing of measured digital waveforms extends from acquisition and triggering to analysis functions such as cursor functions and measurements, and even includes the visualization of the results. Parallel processing of all measured digital signals allows an acquisition and analysis rate of max. 200 000 waveforms per second with the R&S®RTO and R&S®RTE oscilloscopes, ensuring that rare events are detected quickly and reliably. The R&S®RTO and R&S®RTE oscilloscopes’ R&S®SmartGrid function facilitates placement of digital channels on the screen. The digital channel activity remains visible in the signal icons irrespective of the acquisition state. The binary signals from the individual digital channels obtained between two screen dumps are superimposed in the measurement diagram. You see an overview of the frequency of the binary states and of the edge transitions. Use the R&S®SmartGrid function to position the digital channels on the display according to your needs. Use the R&amp;S®SmartGrid function to position the digital channels on the display according to your needs. 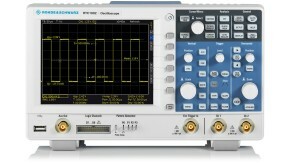 To efficiently analyze measured waveforms, all Rohde & Schwarz oscilloscopes offer the R&S®B1 option with a range of automatic time measurements, including statistical evaluation. Automatic measurements can be performed on all digital channels and their logical combinations. The cursor also supports the decoding of the bus value at the cursor position. The history view function allows you to access measurement waveforms in the acquisition memory and apply analysis functions to them. Detailed analysis on the digital channels. 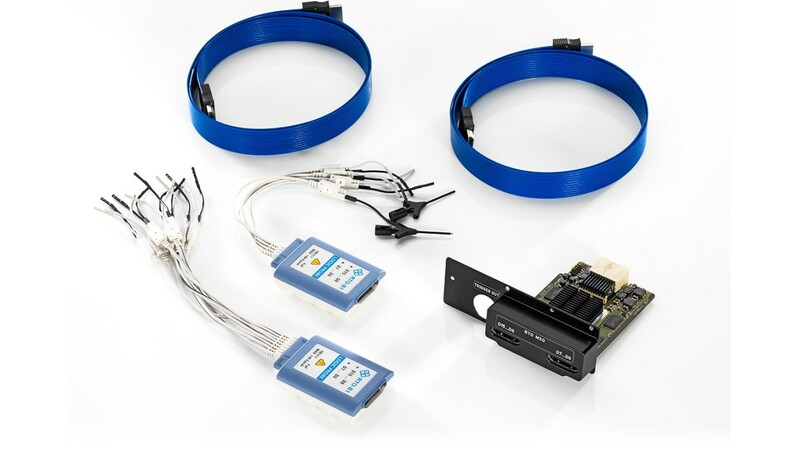 The protocols of serial interfaces such as I²C, SPI, UART/RS-232, CAN, LIN and FlexRay™ can also be triggered and decoded using the R&S®RTO-B1 digital channels and the appropriate serial protocol options. Protocol decoding such as I²C decoding is also supported on digital channels. The digital inputs are grouped into logic probes with eight channels. High input impedance combined with low input capacitance of 100 kΩ || 4 pF ensures high signal fidelity and low loading of the test points. This video demonstrates on an example M2M IoT device the multi-domain test capabilities of the R&S®RTO oscilloscope. Debug embedded power supplies faster by triggering and decoding of their I²C-based control interfaces.